Considering the success of the original Skylanders, it's no surprise that a sequel has already hit store shelves. Activision's accessory-laden adventure game commanded eye-watering sales figures during its last term at retail. But can a series that’s so heavily dependent on peripheral purchases thrive in its second outing? Worryingly for our bank balance, the answer’s yes. 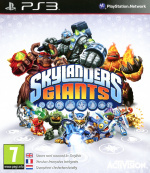 As with the previous title, the urge to collect all of the figurines for Skylanders: Giants is curiously compelling. This is partly because large sections of the game are inaccessible without the right toy – but the new, larger characters are pretty awesome, too. There are even enhanced re-releases of original characters that feature light-up elements, introducing a whole new collection for you to proudly display on your shelves – or rather embarrassingly hide in your drawers. The new toys may be novel, but it’s hard to distinguish the game itself from its predecessor. Visual issues still plague the sequel, with frequent clipping and rudimentary animations. Furthermore, the inaccurate controls are a nuisance, while the voice acting frequently misses the mark and hurts the immersion. In spite of all that, seeing your physical toys transported into the game – via the packaged Portal of Power – is still a delightfully magical experience. A woefully simple narrative sets the scene, with the villain Kaos released from prison and in pursuit of an ancient power. 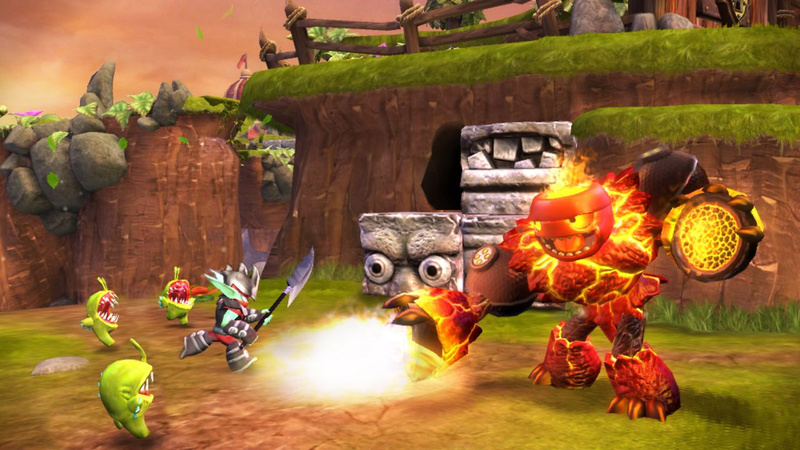 Unsurprisingly, it’s up to you – and the Skylanders – to stop him. It’s hardly award winning stuff, but the solid selection of monsters and friendly beasts, alongside the bright cartoon aesthetic, helps to pull you in. You may even find yourself regressing to your pre-adolescent days, booing the villains and cheering the heroes, while gleefully laughing at the childish humour and dialogue. The game makes a slow start, but eventually picks up speed. Dull and repetitive missions make the opening act a slog, which may discourage the title’s targeted audience from progressing further. The restriction of content is similarly frustrating, with much of the game depending on the transaction of additional toys. The fact that some of the most enjoyable parts of the experience are hidden behind a cost barrier is disappointing, but if you can afford to properly invest in it, there’s a huge amount of content for you to uncover. You’ll definitely be tempted to cough up, as well. The hack ‘n’ slash dungeon crawling and loot collecting from the original game will scratch at your collection compulsion. Branching paths and plenty of hidden items will further lure you down the metaphorical rabbit hole. Meanwhile, challenging boss fights and secondary objectives – such as speed runs – will entice you to keep playing in order to see what’s on the horizon next. It’s just a shame that the open world hub from the first game has been replaced by a small airship. It certainly makes managing your team of Skylanders that little bit easier, but it lessens the emphasis on exploration. 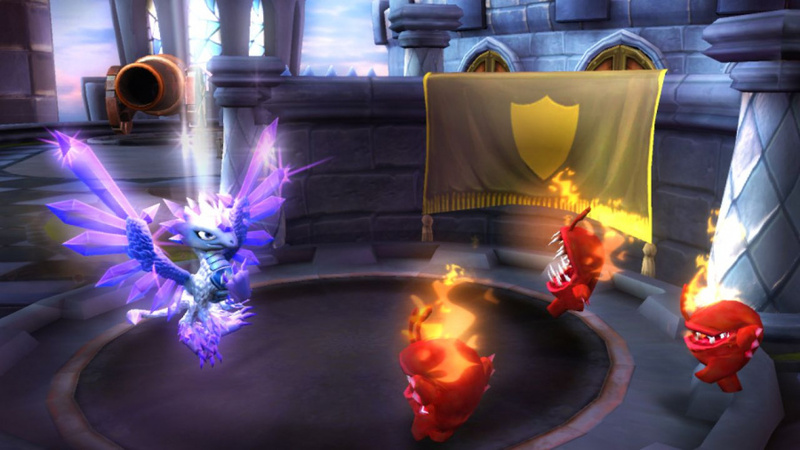 If you require more company than your growing collection of figurines, then the game boasts local multiplayer support for co-operative gameplay. The continued lack of online options is particularly disappointing, though. Even though the figurines are fantastic, Skylanders: Giants struggles to realise its full potential. There’s very little depth to the character progression, and the narrative is pretty poor. However, it's tough to shake the appeal of the toys, and while the game is flawed, that's not going to stop the sequel and its catalogue of collectibles from commanding a spot at the top of most kids' Christmas lists. Well I am sure glad I enjoyed the heck out of the original. I even got to keep a Store Display of Spyro's Skylanders, it lights up and has a built in screen and everything!!
" It’s just a shame that the open world hub from the first game has been replaced by a small airship." Well that's depressing. sequels are supposed to make games better, not worse. Though Super Mario Galaxy condensed from a large airship to a small planet, but that actually made it better as running around that spaceship didn't amount to anything. 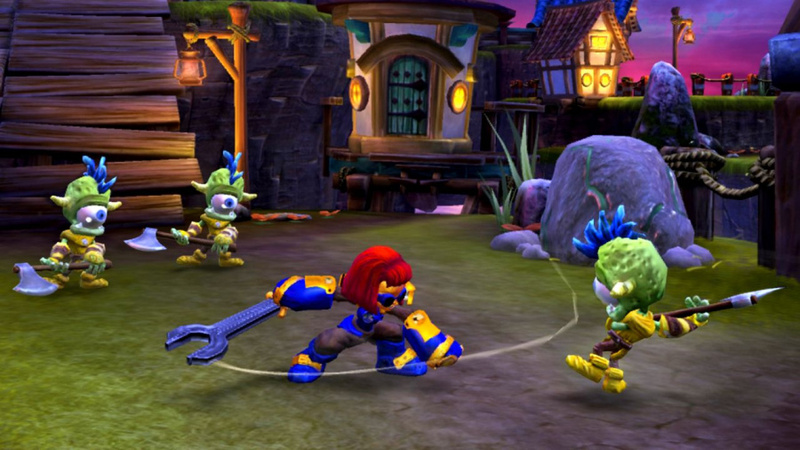 The Skylanders hub island was fun.
" It certainly makes managing your team of Skylanders that little bit easier, "
My 7 year old son had no problem at all managing his Skylanders, he actually enjoyed running around collecting gems and blowing stuff up w/ the bomb dispenser. They should have used the PC online world w/ that house that shows all your registered toys. It could have bne like Noah's ark with all your Skylandes mulling about.